envisioned to symbolize the City as a growing metropolis. After winning a nation-wide competition in 1910, New York-based architecture firm Palmer & Hornbostel designed the building which resembles a “rectangular wedding cake” with three tiers and a 91-foot clock tower. 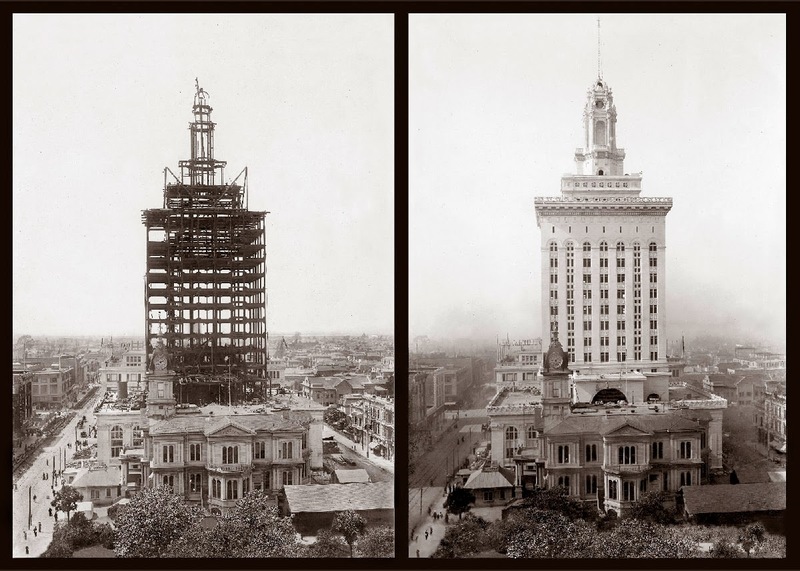 At a height of 320 feet with 14 floors, it was the tallest building west of Chicago when it was completed in 1914. When city hall first opened, it included a jail (complete with outside exercise area), a fire station, a police station, and a small hospital.